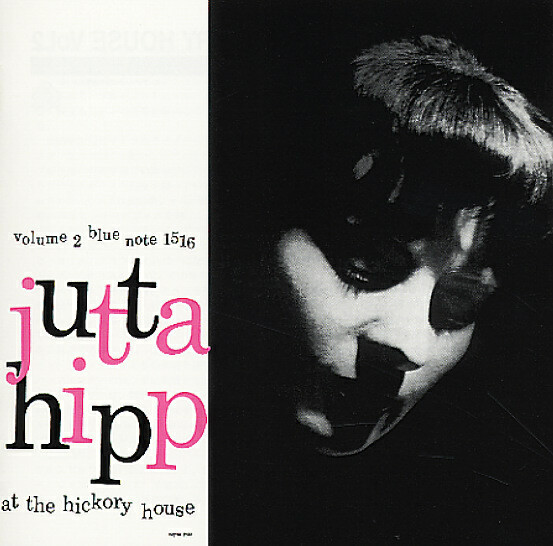 One of the few American albums by Jutta Hipp – a key figure in the German jazz scene of the postwar years, recording here at the Hickory House in New York! The album's a trio date, but it's got more than enough modern energy to warrant inclusion in the Blue Note 1500 series of the 50s – thanks in part to Hipp's forceful, angular approach to the keys of the piano – and also to some great accompaniment from Peter Ind on bass and Ed Thigpen on drums! As usual, Thigpen takes things past any expectations you might have for the trio format – with a great lively touch on the drum kit that keeps the whole proceedings moving nicely. Tracks on this second volume include "After Hours", "Horacio", "Star Eyes", "The Squirrel", and "I Married An Angel". © 1996-2019, Dusty Groove, Inc.